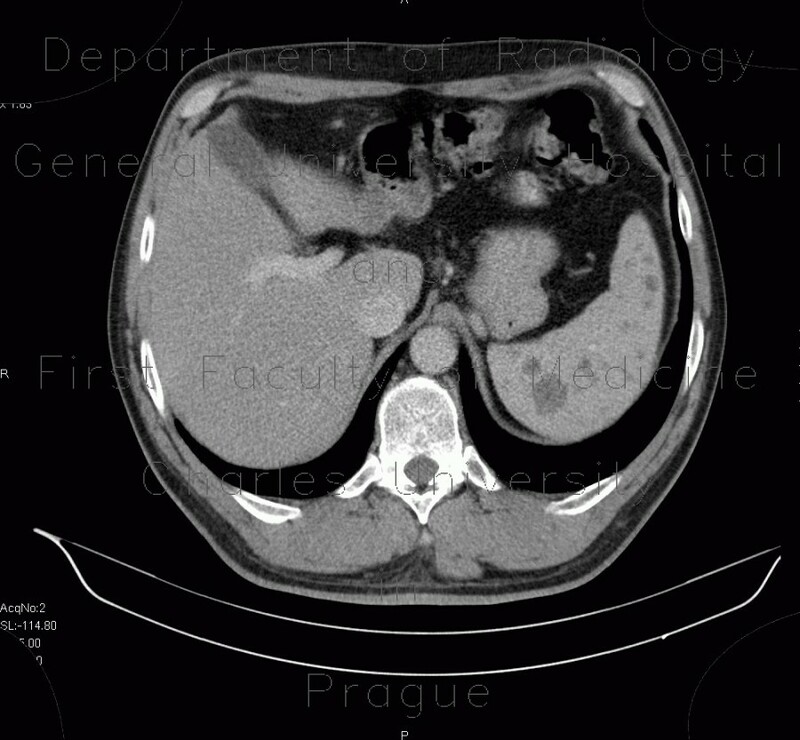 CT shows multiple well-defined hypodense lesions in the spleen. On MRI, they have increased signal intensity on T2 weighted images and decreased signal intensity on T1 images. Hamartomas show contrast enhancement.